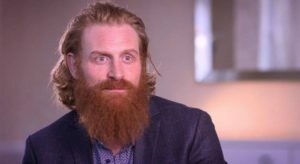 Our Atlanta Crew had the pleasure of working with AXS TV and Kristofer Hivju, who you may recognize from the hit HBO Series “Game of Thrones”. I received a call last minute about a shoot in downtown Atlanta, and the next day I was out he door. We met at a hotel to conduct the interview since there was no producer on set, so I quickly set up my equipment. I used a HMI for lighting and set up my F5 camera to capture the interview. During his sit down, Hivju discussed his role in the film “The Last King”. Where his character’s given the task of protecting the infant future king. Hivju also spoke about his experiences on set joking that there are big differences between swinging his sword on “Game of Thrones”, and swinging an axe in “The Last King”. Being a GOT fan, I’m excited to see Hivju in his upcoming film!